There were six players to take their seat at the final table in Event #4: $10,000 Short Deck Poker and after 5.5 hours of play, only one remained. 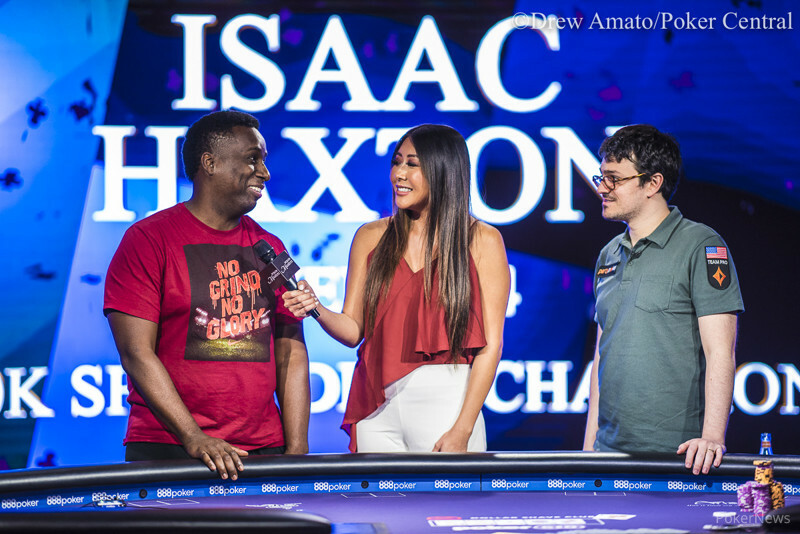 Isaac Haxton captured the title along with $176,000 after defeating Maurice Hawkins in a heads-up battle that saw plenty of twists and turns. With the win, Haxton has moved into second place on the Poker Masters leaderboard, just 30 points behind Brandon Adams. This was the third cash for Haxton in just four events thus far in the race for the Purple Jacket. It was a new event for many of the players who are used to the conventional Texas Hold'em format and the action was fast and fierce for the most part. With the hand equities being so close preflop, it made for a lot of all-in and calls which saw chip stacks rise and fall rather quickly. "I played my first hand of Short Deck yesterday," Haxton said with a laugh. "As the blinds got higher, I started to learn a little more and I was just all in a lot over the last thirty hands." The chipleader coming into the day, Dominik Nitsche, was the first player to be bounced from the final table after a couple all-ins didn't go his way. Shortly after, Cary Katz put his short stack at risk with king-queen suited which plays fairly strong in this format but was unable to beat the ace-ten of Haxton. The most experienced player at the final table in this variant of poker was Andrew Robl, having played quite often in Macau. Unfortunately, Robl also lost a couple of big pots and found himself with just a few antes. After doubling up twice, the third time wasn't as lucky when he ran into the full house of Ryan Tosoc. Three-handed play lasted over an hour before Tosoc wound up on a short stack of his own. His ace-ten was no match for Haxton's ace-jack when the board ran out clean, ending Tosoc's run in third place. Hawkins took a slight lead into heads-up play versus Haxton, but the first four pots went Haxton's way as he quickly turned the tide. Hawkins continued to battle back and his table talk was relentless. In fact, Hawkins even retook the lead for a moment when Haxton's bluff was picked off by a check-raise from Hawkins. Hawkins looked to have a stranglehold on the match when Haxton was all in with ace-jack against the pocket queens of Hawkins. However, an ace on the turn scored Haxton a huge double up and he never looked back. 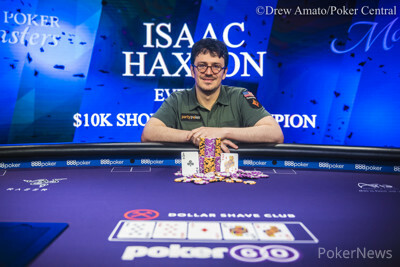 In the last hand of the night, the two players got all of the chips in the middle preflop and Haxton's flopped two pair was enough to hold on for the title. That wraps up the PokerNews coverage for Event #4: $10,000 Short Deck Poker here at the Poker Masters. Check out the live coverage of Event #5: $25,000 No-Limit Hold'em currently underway and continue to follow all of the live updates throughout the entire event on PokerNews.com. Maurice Hawkins shipped all in for 4,775,000 with and Isaac Haxton quickly called with . Haxton held a slight lead heading to the flop, looking to close this one out. The flop came giving Haxton two pair and Hawkins a straight draw. The on the turn left Hawkins drawing to just four outs but the on the river was not one of them. Hawkins shook the hand of Haxton but will exit the tournament in second place. 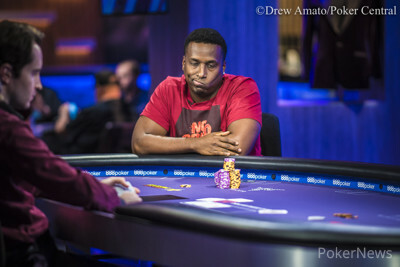 Maurice Hawkins and Isaac haxton played another limped pot and the flop came . Haxton led out for 300,000 with and Hawkins called with . The turn was the and Haxton checked this time after making a straight. Hawkins reached for chips and bet 1,550,000 with a stronger straight. Haxton check-raised all in and Hawkins quickly called. The on the river changed nothing and Hawkins scored a double up. Maurice Hawkins started with a limp again holding and Isaac Haxton checked on the button with . The flop came and both players checked to the on the turn. Hawkins led out for 375,000 and Haxton just called to see the on the river. Hawkins checked this time and Haxton made an overbet of 1,900,000. Hawkins disgustingly threw his cards away and Haxton extended his lead. Maurice Hawkins limped in with and Isaac Haxton shipped all in for 6,000,000 holding . Hawkins snap-called and the cards were on their backs with Hawkins favored to win the title. The flop came and Hawkins remained in the lead with a pair of queens. However, the landed on the turn giving Haxton the best hand. The paired the board on the river and Haxton scored a huge double up through Hawkins. Maurice Hawkins limped in with and Isaac Haxton raised to 900,000 holding . Hawkins made the call and the flop came . Hawkins checked his trip eights and Haxton checked back. The turn was the and both players opted to check again. The completed the board and Hawkins checked for the third time. Haxton pushed in a bet of 1,350,000 and Hawkins check-raised to 2,750,000. Haxton quickly sent his cards to the muck and Hawkins took back the chip lead. Isaac Haxton and Maurice Hawkins are taking a quick break in the action. Ligeri: "I'm Writing a F**king Book on This Game!"